Order in the next 3 hours, 58 minutes and 13 seconds for same day shipping. The elongated impression of the 4918 makes the perfect stamp for printing contact details along with a company logo. Self-inking Printy 4918 has a maximum of 2 lines, and impression size of 5/8" x 3" (15 x 75 mm). Suitable replacement pads 6/4918 are available in black, blue, red, green or violet. Replacement pads are supplied in multiple packs of three. 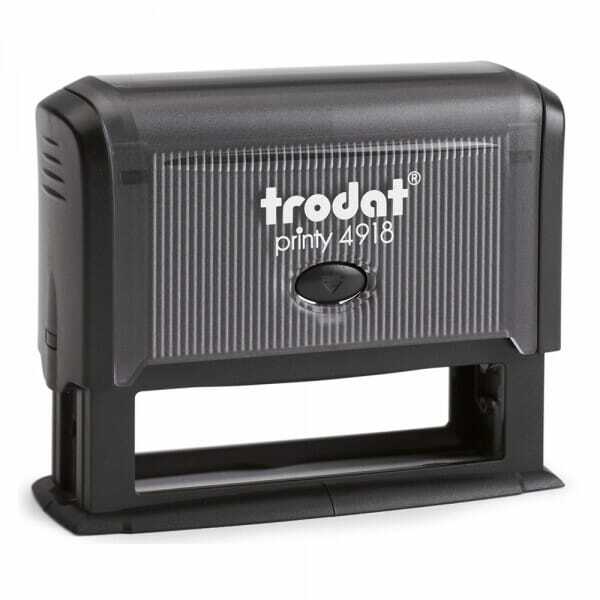 Customer evaluation for "Trodat Printy 4918 5/8" x 3" - 2 lines"